(CBS/AP) SANFORD, Fla. - George Zimmerman' has returned to a Florida jail, after a judge revoked bond for the man accused in the shooting death of Trayvon Martin. 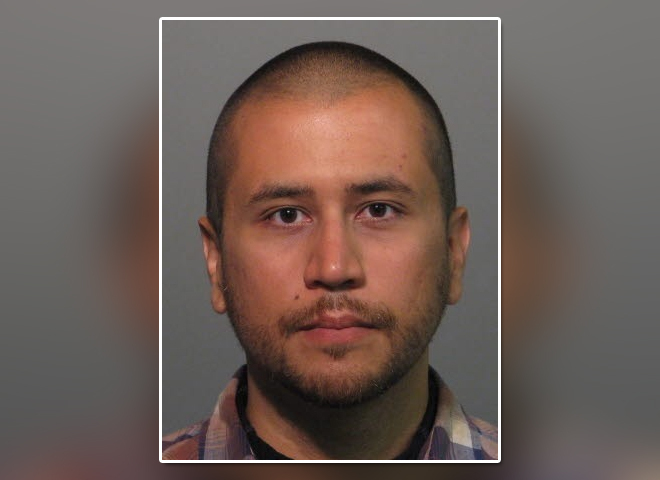 Zimmerman wore a white plaid shirt and jeans when he arrived at the jail in a white unmarked minivan with a police official. He did not answer questions from reporters. On Sunday afternoon, about 40 minutes before the 2:30 p.m. deadline to surrender, Zimmerman was listed as an inmate on the jail website. He was marked as being held without bail and having $500 in his jail account. Zimmerman's lawyer said he hopes his client's voluntary return to Florida to turn himself in will show that he's not a flight risk. A judge revoked Zimmerman's bond last week, suggesting he and his wife had not been honest about their finances. The neighborhood watch volunteer is charged with second-degree murder in the fatal shooting of unarmed 17-year-old Trayvon Martin. Zimmerman's lawyers say their client returned to the state to meet this afternoon's deadline. They say they will ask for a new bond hearing. During a bond hearing in April, Zimmerman and his wife indicated they had limited funds. But prosecutors say Zimmerman had raised thousands through a website he had set up for his legal defense. His lawyers said in a press release that the money Zimmerman has raised is in an independent trust and cannot be directly accessed by Zimmerman or his attorneys. Zimmerman has pleaded not guilty to the second-degree murder charge. He maintains he shot Martin in self-defense under Florida's so-called "stand your ground" law because the teen, who was unarmed, was beating him up after confronting Zimmerman about following him in a gated community outside Orlando. Zimmerman wasn't charged in the case until more than a month after the shooting. Protests were held across the nation, and the case spurred debate about whether race was a factor in Zimmerman's actions and in the initial police handling of the case. Martin was black; Zimmerman's father is white and his mother is from Peru. The questioning of Zimmerman's truthfulness by the judge on Friday could undermine the defendant's credibility if it is brought up at trial. It also may complicate how his defense presents him as a witness, said Orlando-area attorney Randy McClean, a former prosecutor. Zimmerman went into hiding in the weeks after the shooting and his exact whereabouts since he bonded out of jail remain unclear. It was not immediately clear exactly where Zimmerman would surrender. Witness accounts of the rainy night that Martin was shot are spotty. There is no video of the fight, though photos released by prosecutors show Zimmerman with wounds to his face and the back of his head. "If he was in on something that was not truthfully revealed to the judge, when there is a `stand your ground' hearing, of course you're going to second-guess him," Hill said. Shellie Zimmerman was asked about the website at the hearing, but she said she didn't know how much money had been raised. Circuit Judge Kenneth Lester set bail at $150,000. The 28-year-old was freed a few days later after posting $15,000 in cash  which is typical. Benjamin Crump, an attorney for Trayvon Martin's parents, Tracy Martin and Sybrina Fulton, said his clients have always said Zimmerman should remain in jail until trial.